This book is about a man (Mo) and his daughter (Meggie) who, when they read a book, something in that book comes to life. Mo read aloud out of a book called Inkheart and his wife disappeared (because when something comes out of the book something has to go in) and a group of bad men came out and they wanted to get back home, so they hunted Mo down to try to get the book back and make him read them back into it. Also, a man called Dustfinger came out with his pet pine marten (with horns) called Gwin who also wanted to get back home. This book is very exciting and it’s a good book for people who like to imagine that there are other worlds out there. You will like this book, if you like: Very long books! I can’t think of another book that it is like. It is unique. How does it make me feel when reading it: It draws me in so much that I just felt like I was in the book and it would last for ever. This is the sequel to Inkheart. It is a staggering 675 pages long!! The longest book I have ever read!! Dustfinger finds a man who can read him back into his world and Meggie reads herself and her friend, Farid, into Inkheart and her parents follow her. Meggie’s father is thought to be a mysterious villain called The Bluejay who was being hunted for treason. They have many adventures that are scary. 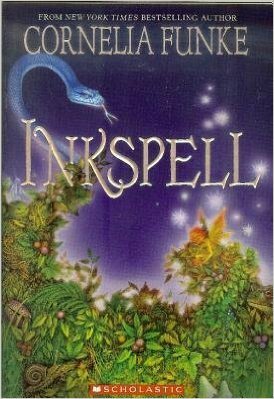 Inkspell is definitely better than Inkheart, by far. Recommended Reading Age: 9 yrs and above. Grown-ups would like it too. You will like this book, if you like: Inkheart. How does it make me feel when reading it: It made me feel worried when I was reading it in case it ended on a cliff hanger. These reviews first appeared on The Guardian Children’s books site. 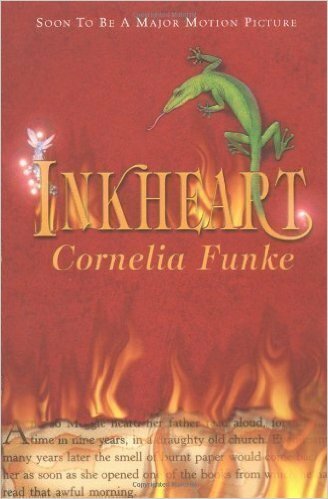 This entry was posted in Book Review and tagged Book Review, Cornelia Funke, Inkheart, Inkspell, The Guardian. Bookmark the permalink.